The Division of Gynecologic Oncology invites you to the 6th Annual Gynecologic Cancer Symposium on Saturday, September 8, 2018. Join us for a day of information, discussion and connection, latest science - In-treatment alternatives - survivorship strategies. Guest speakers with Q & A, speaker panel and breakout sessions. Please come join us for a good cause. We can't fight for gynecologic cancers alone, but we can do it as a community. 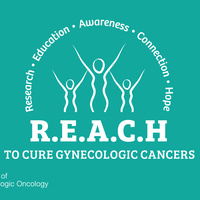 Let's help find a cure for gynecologic cancers together. Every woman deserves an enjoyable life with her love ones and every one of us is special. In this event, you will also learn about the latest development in diagnosis, treatment, and quality of life. Registration will start at 8:30 am. Look forward to seeing you there.